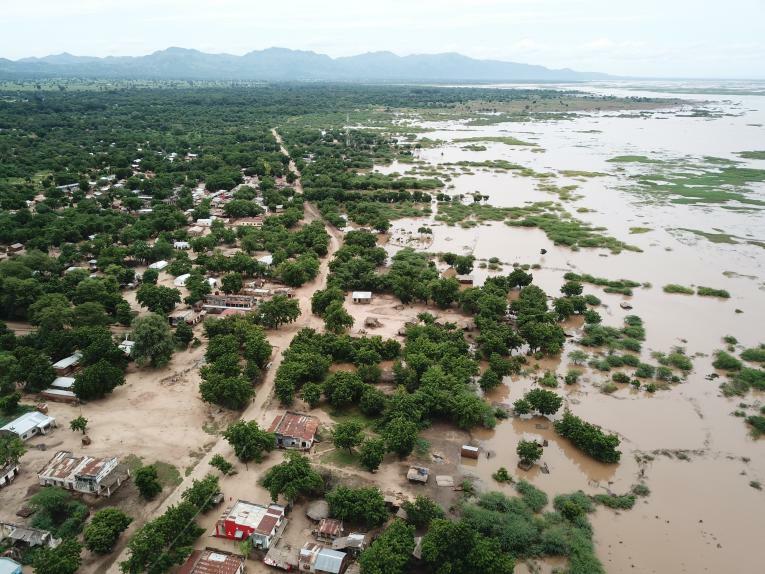 UNICEF supplies have begun arriving in areas affected by heavy rains and floods in southern Malawi, bringing a measure of relief to families living in evacuation centres. The supplies include thousands of packets of oral rehydration salts, antibiotics, and hundreds of insecticide-treated bednets. UNICEF is working in coordination with the Government of Malawi and UN Country Team to deliver a joined-up humanitarian response. More than 922,900 people have been impacted in 14 affected districts since 9 March, including an estimated 460,000 children, according to figures from the Department of Disaster Management and Preparedness (DoDMA). This includes 56 deaths and 577 injuries. Additional rains associated with Cyclone Idai are complicating the humanitarian response, as access to vulnerable communities is already limited. With thousands forced out their flooded homes, many families lack basic supplies including food, water and sanitation facilities. The floods have also disrupted learning for thousands of children. Education supplies in Chickwawa and Nsanje, including two tents for temporary classrooms. The supplies are being delivered with the assistance of UNICEF partners, including district authorities, Médecins Sans Frontières, Red Cross, United Purpose and World Vision. Education supplies, including 50 tents for temporary classrooms; 143 school-in-a-box kits; 101 recreational kits for child-friendly spaces. In addition to these supplies, UNICEF is training volunteer teachers for deployment and supporting DoDMA to assess the situation using drones. Drone acquired photos and videos of the affected area are being used to assess flood damage to buildings and fields, and to help plan the humanitarian response. UNICEF and other UN agencies are mobilising resources for the response. In order to respond quickly, UNICEF is requesting funds from donors, including the reallocation of existing funds, to respond to the most urgent needs. UNICEF estimates a requirement of US$8,265,000 to meet the immediate and medium-term needs of children and women throughout the affected areas.